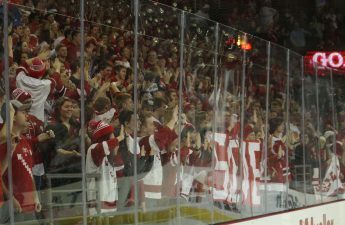 The University of Wisconsin men’s hockey team is looking to get back on track this weekend against Michigan after being swept by the No. 9 Penn State Nittany Lions in last week’s home series. After a tough weekend at the Kohl Center, Wisconsin fell to the No. 20 spot in the country and lost their share of the number one spot in the conference to No. 5 Minnesota. 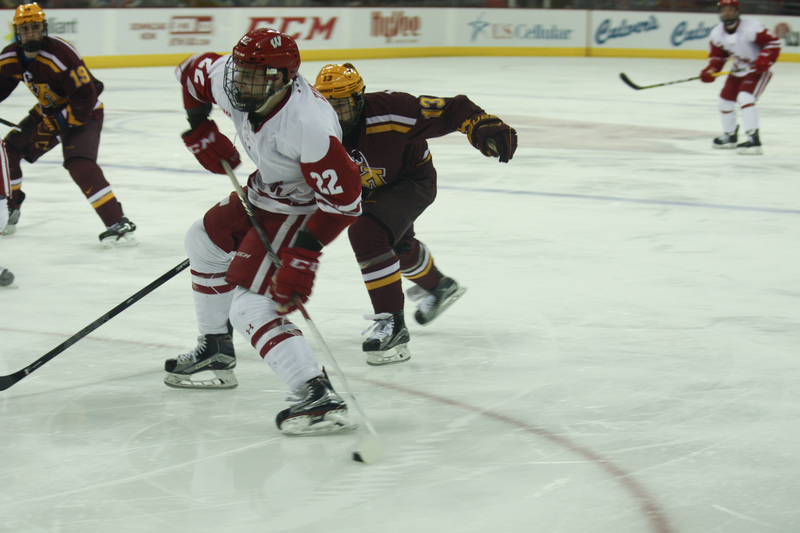 Despite the bump in the road, the Badgers still display a prolific offense, led by freshman Trent Frederic and sophomore captain Luke Kunin. Kunin tops the Wisconsin points leaderboard with 29 and is one goal away from 20 on the season, a feat that hasn’t been accomplished since the 2013-14 season. Frederic has been right alongside Kunin averaging 1.3 points per game in the last 20 games, ranking 13th among all league players. “I think they’re just two big pieces, and they play key roles on both power play, penalty kill and obviously, we expect a lot of them offensively,” head coach Tony Granato said. Aside from individual performances, the Wisconsin special teams have been outstanding thus far. The Badgers are the only team to rank in the top 11 in both power play (21.8) and penalty kill (87.2) percentages and they will rely heavily on special team success as the postseason approaches. Wisconsin’s goaltending has also improved as the season has progressed, with the coaches rotating between freshman Jack Berry and sophomore Matt Jurusik. 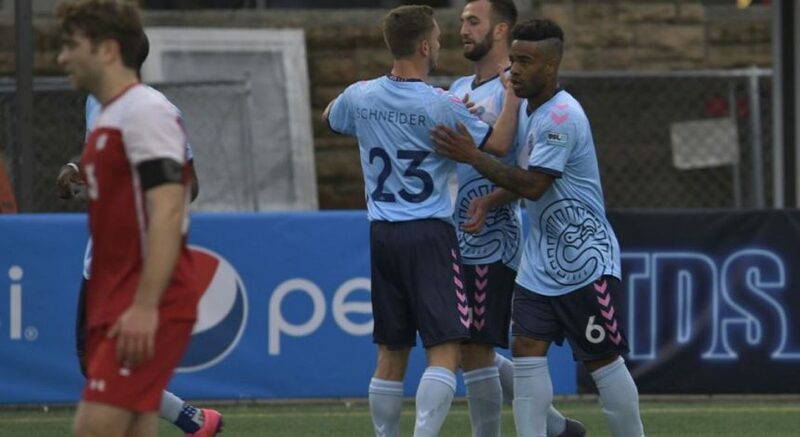 Before last weekend’s blunders, the pair had gone 7-1 in the last eight contests and were stopping more than 92 percent of the shots they faced. It looks like the rotation will continue this weekend and into the upcoming matchups until someone emerges as the clear starter. The Badgers face a mediocre MSU team (9-14-3, 2-8-2 Big Ten) this weekend who has struggled offensively, averaging 2.7 goals per contest to Wisconsin’s 3.6. The Wolverines are not currently ranked in the nation and sit at the fifth spot in the conference, just two points ahead of their state rivals Michigan State. MU defeated MSU Friday night in a shootout, but fell to the Spartans 4-1 the following day. A pair of wins this weekend would keep them in serious contention for a top spot in the conference, and a bid for the coveted NCAA tournament. 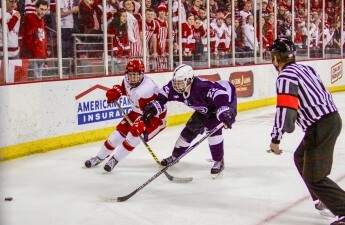 The puck drops in the Kohl Center at 8 p.m. Friday and the opponents square of the following night at 7 p.m.